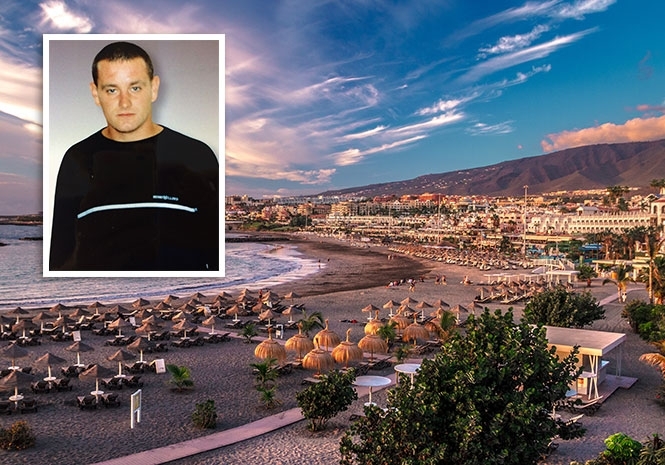 TENERIFE MYSTERY: Kevin Ainley vanished in 2004. INVESTIGATORS have launched a fresh appeal in connection with the disappearance of a British man in Spain 14-years-ago. Kevin Ainley, from Fleetwood in Lancashire, was 24 when he vanished on the island of Tenerife in June 2004. The expatriate had been working in the Playa de las Americas area popular with British holidaymakers. And detectives now say they want to speak with anyone who witnessed a row he had with door staff at the Cafe del Mar nightspot in the early hours of June 13. Garry Fishwick, a review officer at Lancashire Police, said in a statement: “I appreciate the length of time that has now passed, but every year that comes and goes is another year of unanswered questions and diminished hope for Kevin’s family who are desperate for information. Kevin had also previously lived in Wakefield, West Yorkshire, and moved to the Canary Islands in March 2004. He is described as being around five feet eight inches tall with dark brown hair tattoos featuring the name ‘Kevin,’ a small doll and a Native American woman on his arm. Mr Fishwick added: “June 13 – the day of Kevin’s last sighting was the same day that France beat England 2-1 with an injury time penalty in the UEFA European Championships. “A popular British tourist destination like Playa de las Americas would have been a hive of activity, especially around the area of ‘The Patch’ which was popular for its bars and restaurants.